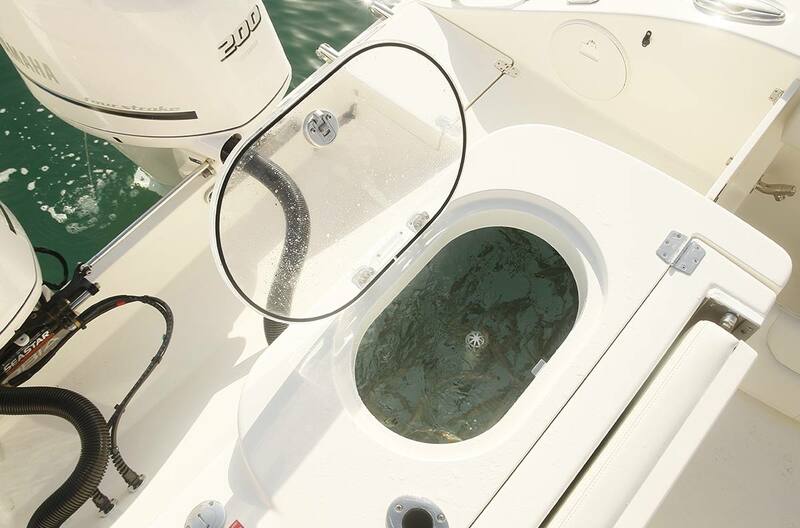 Built for those who feel 30 feet is a bit too much and 25 is just not enough, the new Cobia 277 provides big water performance and features in a manageable package. 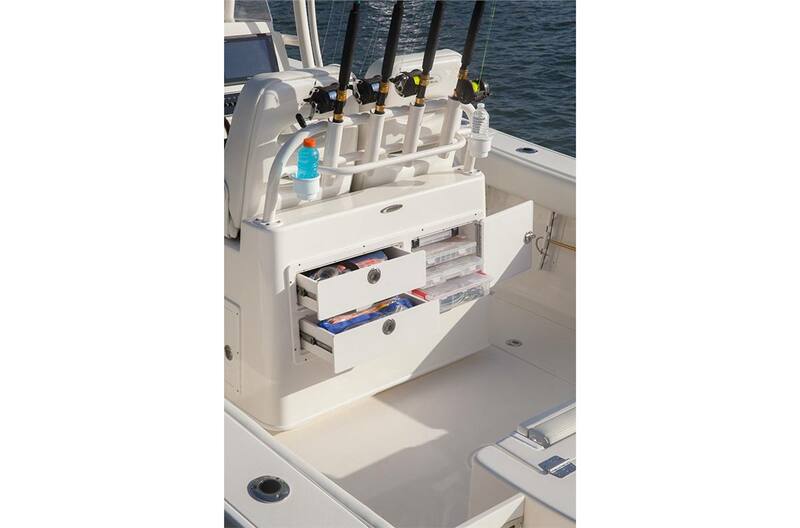 Serious anglers will appreciate the stem to stern, single level cockpit, the dual over-sized fish boxes with macerators, and the deluxe tackle station worthy of a sport fisher. 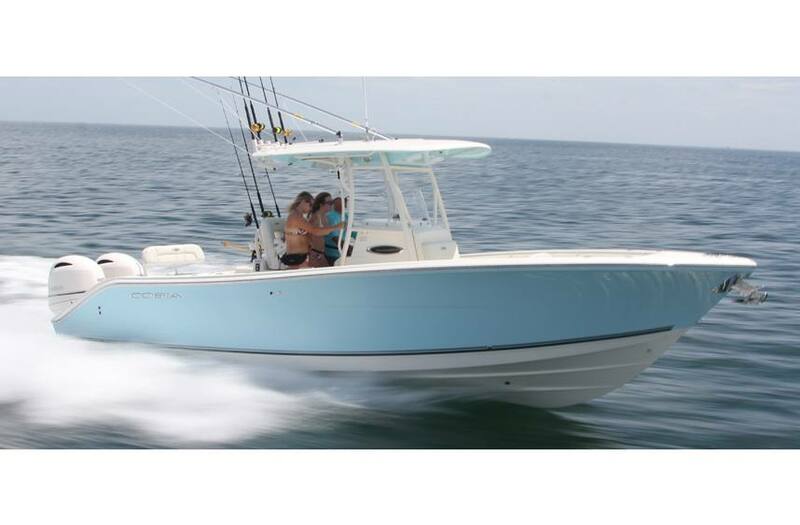 Though tournament ready, the 277 CC doesn’t forget the creature comforts. 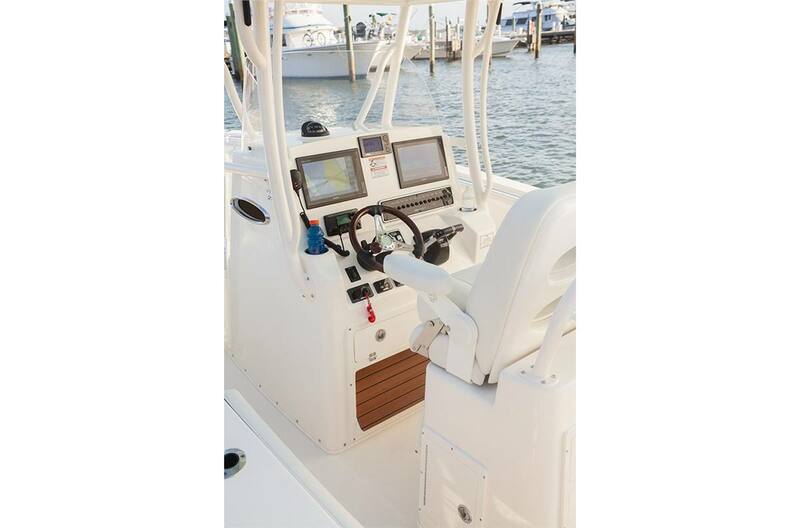 The boat comes standard with hideaway electrically lifted bow table, forward entry step-down console with china head, deluxe bolstered helm seats and fold-down rear bench seating. 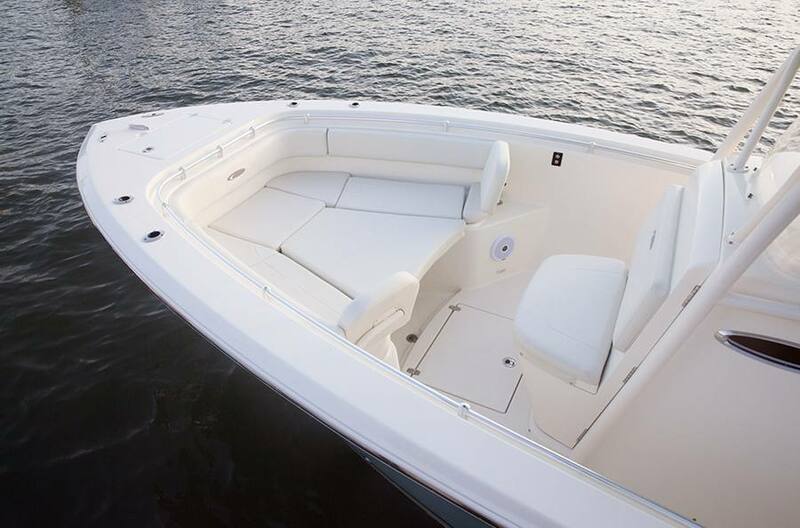 Easy access for maintenance of the plumbing, batteries and electrical systems finishes out the smart layout. 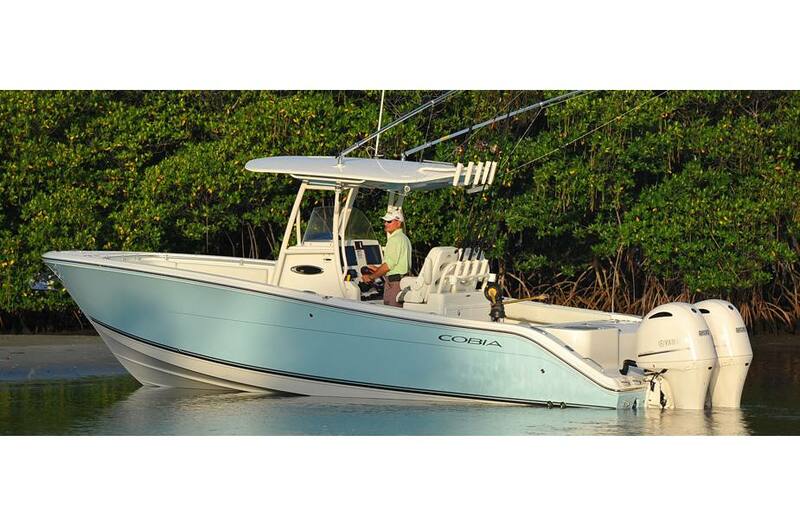 With the new Cobia 277 CC, you can still have it all while staying in your comfort zone. Cockpit square footage: 94 sq ft.
LOA: 27 ft. 7 in. Weight (approx. w/o engine): 5,200 lb.